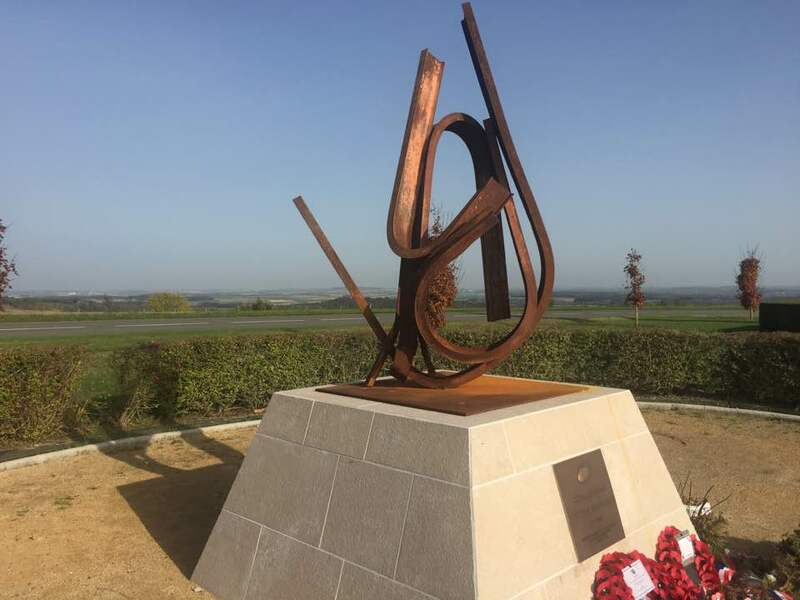 This new Memorial was unveiled on Saturday 16th September 2017 in the heart of the battlefields of the Chemin des Dames, a project that was 2½ years in planning from the initial discussion in March 2015. Co-Founders of the Project are Franck Viltart from the Conseil Department l’Aisne, based in Laon, France. John Dennison, President of Francourt Events also based in Laon. The project was founded on the idea of creating a lasting memorial to all Rugby Players from around the World who lost their lives during World War One, and to create a place of pilgrimage for all, especially for those associated with the game of Rugby. 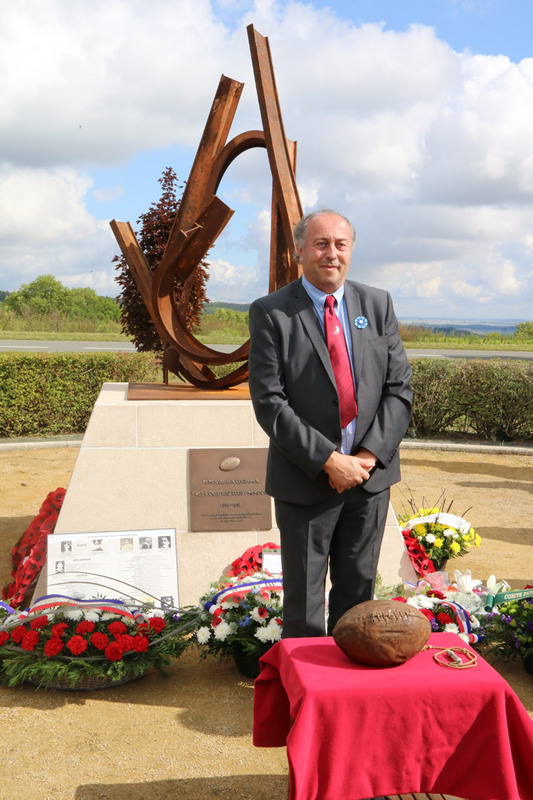 The Memorial itself was created by former French Rugby Captain, Jean-Pierre Rives and is titled "The Ribbons of Memory". His modern design signifies the destruction of war, and the peace element is reflected by the shadow of a rugby ball that appears when the sun catches the centre of the memorial. 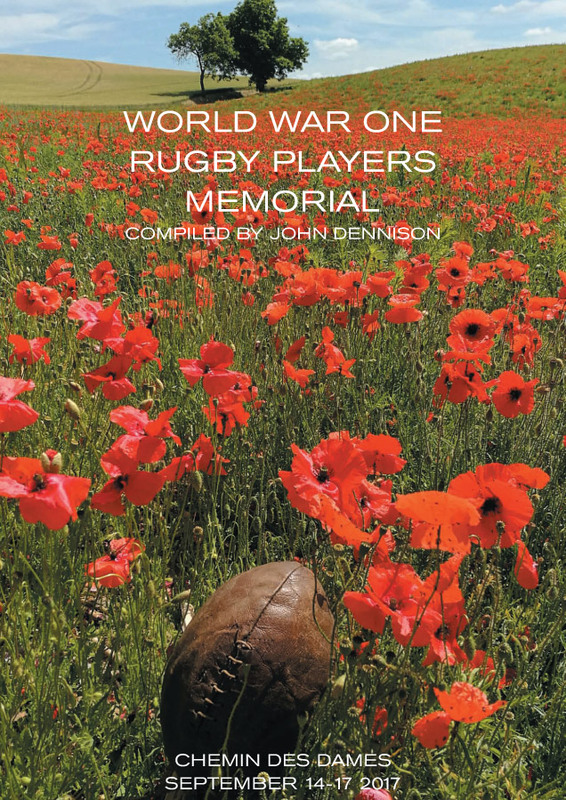 Along with the Memorial, the Project has created the WW1 Rugby Players Book of Remembrance which will become a research tool for students, families and clubs. This is a continuation project which encourages individuals, families, schools and clubs to continue sending information to create the biggest database possible. This can be purchased from the Francourt Events website. 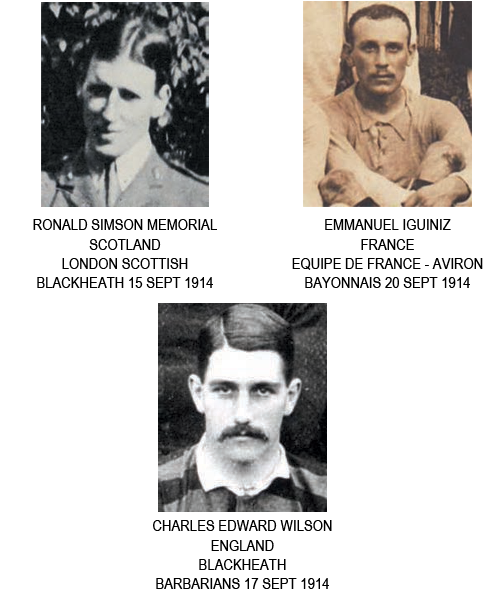 We have collected information regarding Rugby players who fought in WWI. Use the search function to find players. For a small membership fee you will have access to the complete listings for each player.